I must be spoiled by super fast internet back home. 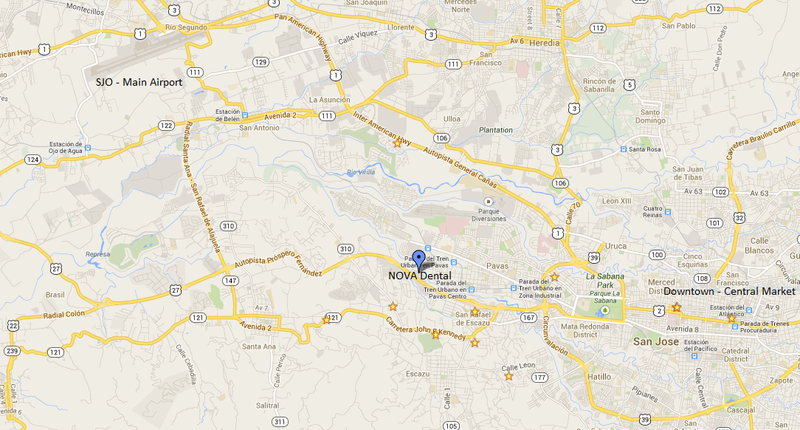 I did the tour and interview @ NOVA dental yesterday, but it took all night for the video to upload. I finally went to bed around midnight last night and it was still only 70% done at that time. Woke up this morning and it had finished, but I had to get out the door for a day of exploring. I just returned from walking all over downtown San Jose so now I can finally get this done. Oh I forgot to mention that after I took the lobby photos and while I was waiting for Dr. Obando to come out, I talked a short bit to a patient who was just leaving. I have a photo of her but I forgot to get her permission to use it on this blog so I better not post it. Anyway I asked how she liked her treatment so far. With a huge grin on her face and a look of complete satisfaction she told me it was, "FANTASTIC!". She went on to tell me that this was her 4th trip down to CR for dental work. 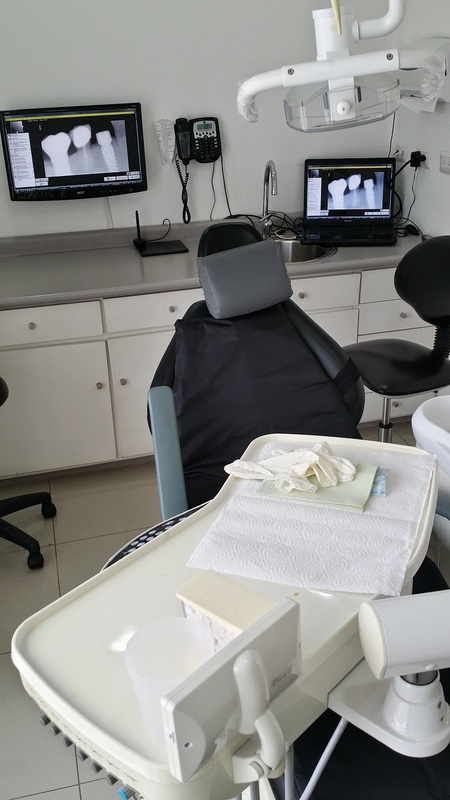 She had originally came down for crowns over implants but it went so well that she now returns to Dr. Obando for routine dental work and that she wont go anywhere else not even up in California where she is from. Then her taxi showed up and she was off. By the way her teeth looked fabulous. So after taking the photos of the numerous rooms, the doctor and I sat down across from each other and started the interview. I realize the question I asked were pretty tame and generic. 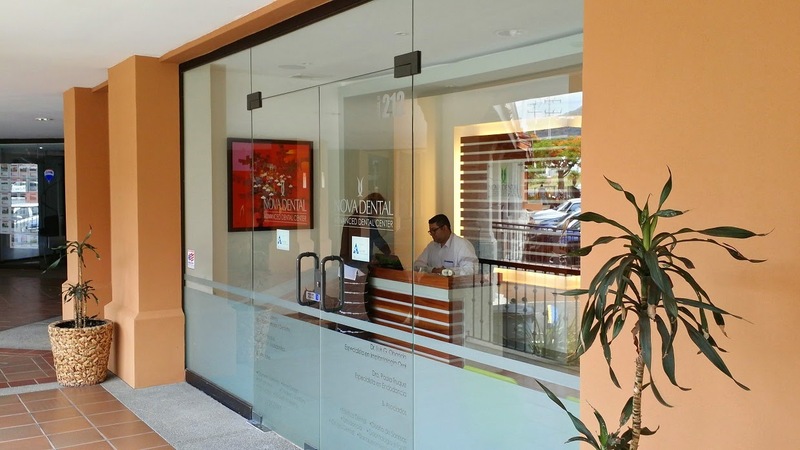 But at least it does give you some insight into how Dr. Obando operates his clinic and personality. I could have asked both Anglada & Obando questions of a more serious matter but I wasn't there for that. I just wanted to give everyone a brief look into the clinics and at the doctors who run them. 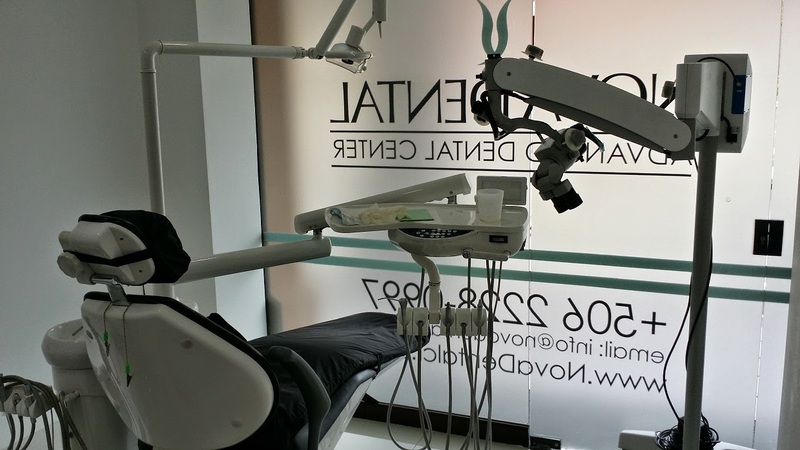 The clinic: I was highly impressed with the looks, feel and yes even the very nice flowery smell of the NOVA Dental Clinic. 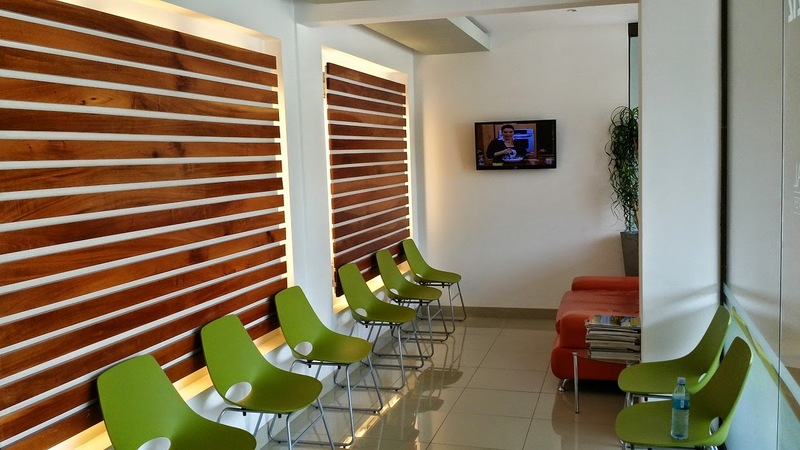 I'm trying to remember if I've ever walked into a U.S. clinic that looked as modern as NOVA and for the life of me I can not. Now don't get me wrong...I have a FANTASTIC dentist back home, Dr. Galloway and Dr. Paxton, and they have a fabulous clinic. But I love clinics that look like they belong on the USS Enterprise out in space and NOVA is one of those places. You won't be disappointed by the clinic and that's fo' shizzle (for sure). The doc: I wish I could have spent more time with Dr. Obando as he seemed like one hell of a good guy. Smart, almost as good looking as me and obviously committed to his work. 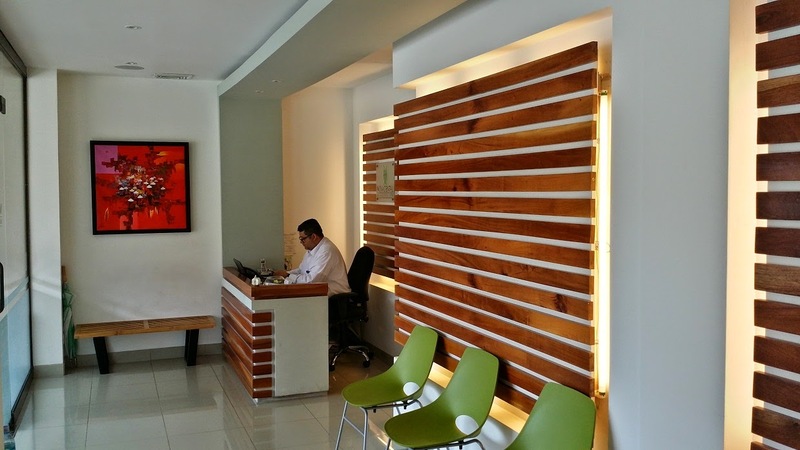 All you have to do is look at his clinic and you know that he puts cleanliness and sterilization at a priority. He seemed a bit uncomfortable in front of the camera at first, who wouldn't be, but quickly found his groove and answered the questions well I thought. 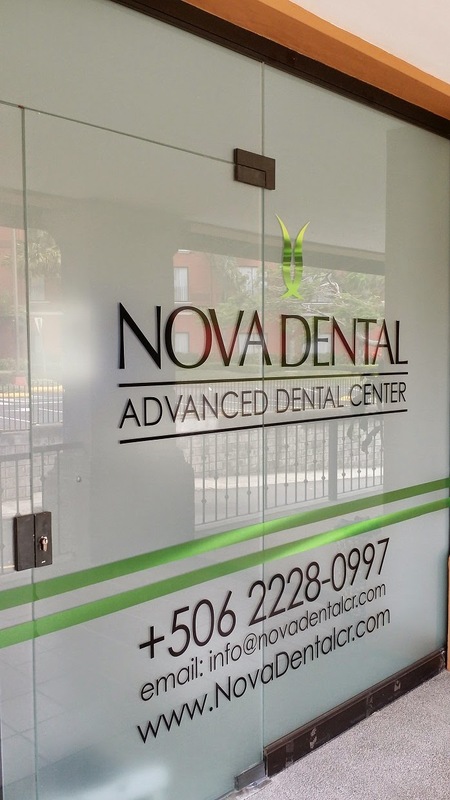 If you are researching dental tourism, I think it would be silly of anyone not to have Dr. Obando and his NOVA Dental team on their short list as he was on mine. From the patient I talked to when I arrived at the clinic to other NOVA patients I chatted with online when I was doing my initial research, I have found nothing but great reviews and experiences. 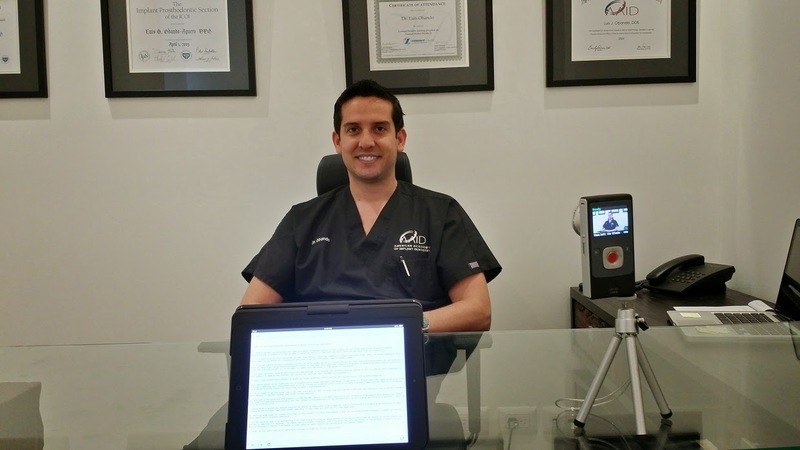 If I had it to do all over again, would I choose Dr. Obando over Dr. Prada? No because I have had the best dental experience of my life with Dr. Prada and I practically love the guy like a brother. So why would I go back and change that? 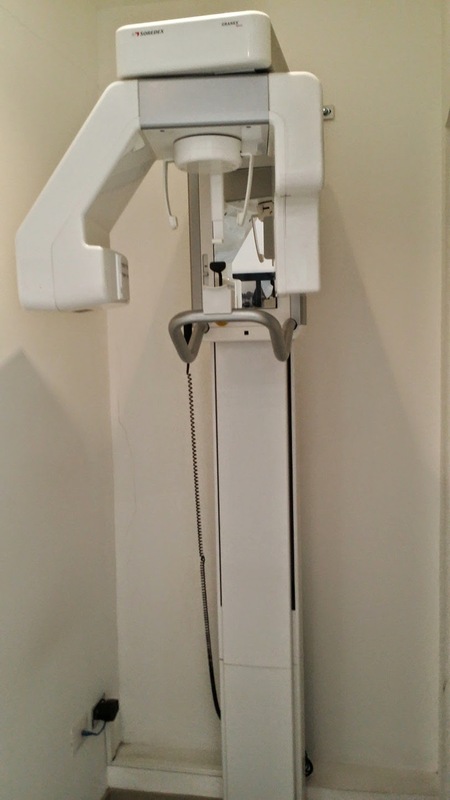 Do I believe that if I would have picked Dr. Obando in the first place that I would have received excellent care and a fantastic experience as I have with Prada? Yes! I honestly believe that no matter who I would have chose on my list of final 3, I would have been in great hands. 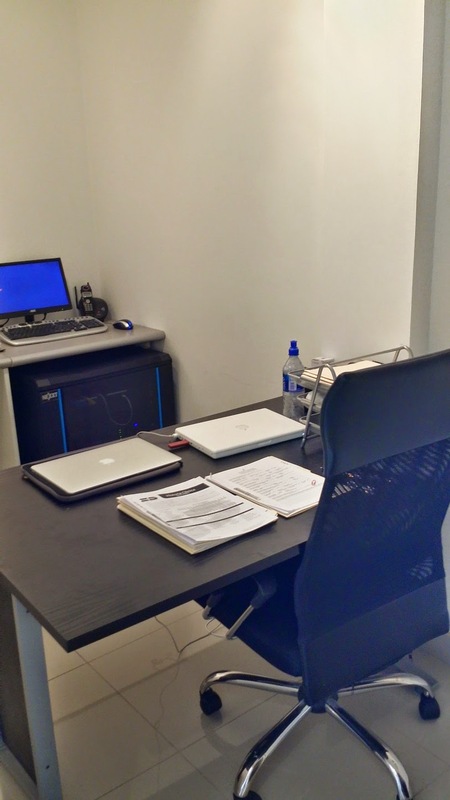 Thanks and gratitude goes out to Dr. Obando for allowing me to come into his clinic in order to make this happen. P.S. - The hi-tech (sarcasm) setup that I use for the interviews. An iPad Mini for my questions and a Flip camera with a 37mm 0.5x wide angle lens mounted on a mini tripod. your website has been a real godsend these last couple of months. 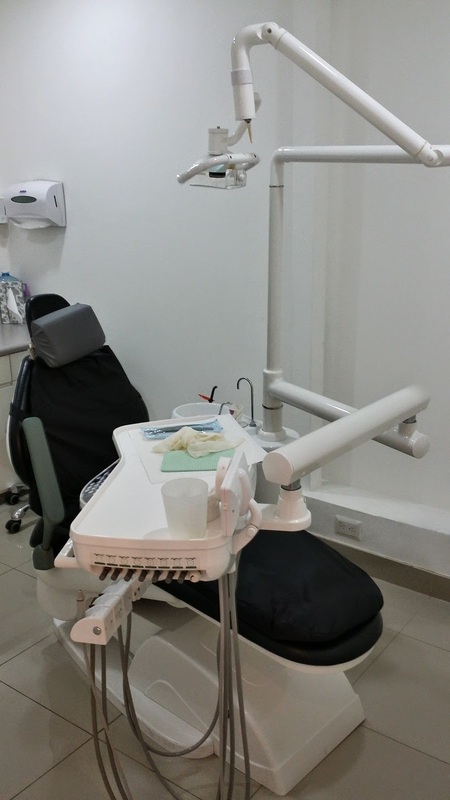 thank you for all the wonderful information; it has made me more confident of my decision to travel to costa rica for my dental work. Thank you so much for the kind comment and I'm so glad that you have found my blog useful. Exactly the reason I created it...to help others. 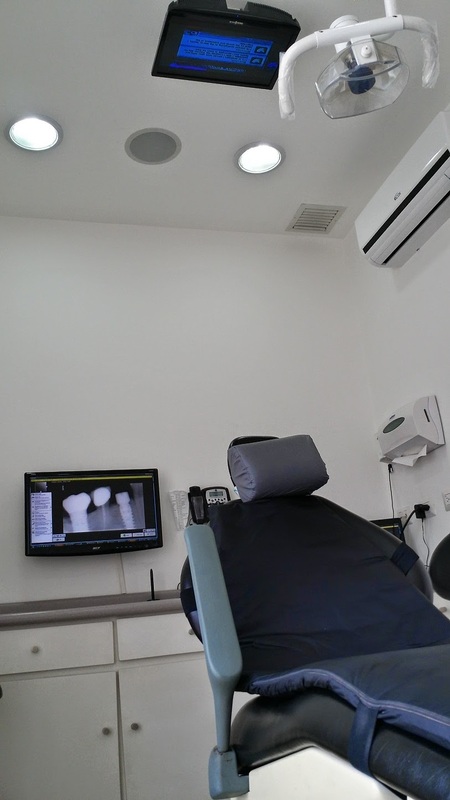 Hi Rod, thinking of going to CR from Canada for some porcelain veneers. Gotta work in the cost of travel etc....can you give me an idea of hotel prices? Hi Lynette...hotel prices in San Jose are comparable to those in the U.S. Most of the major chains have hotels there such as Hilton, Best Western and such. I would check Tripadvisor.com as well as AirBnB.com.